NFL Network host Kyle Brandt’s epic rant on “Good Morning Football” was fueled by his annoyance over lazy takes predicting the Eagles would lose their home playoff game to the Falcons. "You can win! Eagles by 50!" 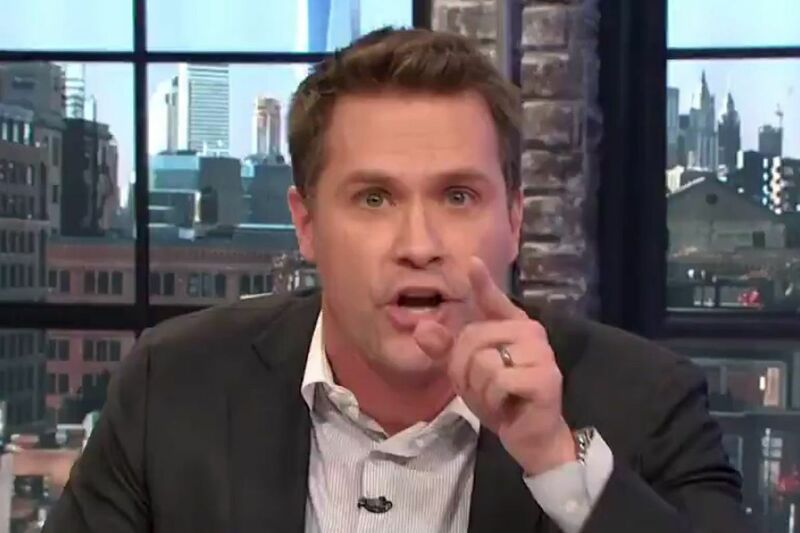 That's how NFL Network host Kyle Brandt ended a 3-minute rant on Good Morning Football, ripping into how most sports media pundits have written off the Eagles in this Saturday's NFC divisional playoff matchup with the Atlanta Falcons. Largely because of a season-ending injury to Carson Wentz and lackluster enthusiasm for his backup, Nick Foles, the opening line at most sports books had the Eagles as a 3.0-point underdog (since moving to +2.5), marking the first time in recorded history that a No. 1 seed has opened up the postseason as a betting-line underdog. For the past few days, Brandt has noticed how everyone appears to be piling on the Eagles, including himself. Eagles defender Fletcher Cox commented on the negative attitude toward the team earlier this week, telling reporters, "It just puts a bigger chip on our shoulder and just adds fuel to the fire, and that's what this team, obviously, has been going off of all year." In an interview, Brandt said his rant was prompted by annoyance over the laziness of sports media pundits..
"I get annoyed by laziness, and it felt like a real lazy take for everyone to say the Eagles were going to lose because Carson Wentz was hurt," he said. "Nick Foles threw seven touchdowns in a game for this team. He threw four touchdown passes for this team on the road just a few weeks ago. This is not your average backup." In his epic rant, Brandt made perhaps the most compelling case yet why Eagles fans should be optimistic about the team's chances against the Falcons on Saturday. "It's not important that the Eagles have the No. 1 rushing defense in all of football, the No. 1 red-zone offense in all of football, the No. 1 record at home over the last two years," Brandt said. "I don't think it's interesting that last year, when Atlanta's offense was incredible, they came into the Linc and scored 15 points." "I don't know if it's important at all that the Eagles were top five in third-down defense, takeaways, turnover differential," he continued. "Is it interesting to anybody at the table that [Chargers running back] Melvin Gordon has 22 yards against them, or [49ers running back] Carlos Hyde has 25, or [Bears running back] Jordan Howard has six? Is it pertinent in this weekend's matchups that wild-card teams in the second round are 9-17? Does anybody care that Matt Ryan is 1-3 at Lincoln Financial Field?" Brandt went on to invoke Rocky in a plea so passionate, it caused co-host Nate Burleson to leap from his chair and flap his arms up and down on set as he shouted, "Fly Eagles Fly." Brandt said he was "crestfallen" when Wentz got hurt. He has developed a relationship with the player and even grew a "Wentz Beard" last season over the first five weeks of the NFL season, eventually shaving it after the quarterback threw his first interception of the season in a loss to the Lions. But, as Brandt pointed out in his rant, his reasons for picking the Eagles over the Falcons go well beyond his affection for Wentz or his sympathy for a home playoff team listed as an underdog. "My meat-and-potatoes football answer to why I think the Eagles will win, or my skirt-steak-and-cheese answer, is simple: They run the ball, they stop the run, and they're at home," Brandt said. "That's all you need to say."